Your liver is critically important to the health of your bones. It’s your body’s natural filtration system, and when it is not able to adequately remove acidifying toxins and other harmful substances, once bicarbonate reserves are depleted, your pH becomes acidic. To restore the pH balance, alkalizing minerals stored in bone, such as calcium and magnesium, are utilized, weakening your bones. Today we bring you three delicious desserts that contain a common ingredient: a well-known yet underappreciated fruit rich in essential bone-building nutrients that also support the health of your liver. This food is an excellent detoxifier, just what your body needs after the indulgences of the holidays. If your sweet tooth isn’t quite sated, here’s some good news: today’s three delicious, pH-balanced dessert recipes have exactly what you need… and crave! Read on to learn about why the ingredient is such a powerful detoxifier, and much more. This fruit (yes, it’s actually a fruit!) has been steadily gaining in popularity over the past several years, and no wonder! The avocado is delicious, nutritious and incredibly versatile as a food unto itself or as an ingredient in recipes like the ones we share with you today. Vitamin K – This vitamin is a key regulator of osteoclast production, helping to remove old or damaged bone- an essential part of the bone remodeling process. Vitamin D – This well-known bone-builder has many benefits and plays a crucial role in preventing falls and fractures. Vitamin C – A potent antioxidant and immune strengthener, necessary for the production of collagen, a building block of bone and cartilage. Boron – This trace mineral is involved in bone metabolism and Vitamin D activity that reduces the amount of urinary calcium and magnesium excretion, helping you to maintain the nutrients your body needs to build bone. Copper – Your body produces collagen and elastin using an enzyme that depends on this underappreciated nutrient. These alone make avocados an important part of every Saver’s diet, but remarkably this food has even more to offer. The avocado both supports liver function and protects it from damage. It does this in a variety of ways. 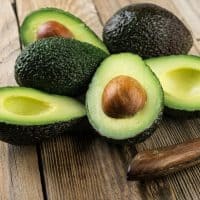 Taurine – Avocados are rich in an amino acid called taurine that detoxifies the liver while facilitating the body’s use of potassium, magnesium, sodium, and calcium. It’s a double-whammy of bone building power. Reading the above list, you were probably struck by the many far-reaching benefits of the avocado, from immune support, cardiovascular benefits, to the neurological and bone health protection offered by glutathione.3 It’s no surprise that many consider avocado a superfood! This fruit is also high in fiber, at around 7 grams in a one cup serving, and provides potassium, which is essential for balancing sodium intake. With so much to offer, avocados are worth working into your meals on a regular basis. You’re probably thinking salads, smoothies, sandwiches, etc., and those are all great uses for this fruit. But our three new recipes are going to crack the avocado wide open, helping you to turn even your most indulgent moments into a pH-balanced bliss. Preheat oven to 325 degrees F and oil a 9 x 5 x 3 inch loaf pan and line with parchment paper. Place the cocoa powder in a small bowl and pour the hot almond milk and vanilla extract on it. Whisk until it becomes a runny paste. Use a large bowl to sift the almond flour and baking soda. Use a blender of food processor to mix the honey, stevia, and avocados until mixture becomes smooth. Add the chocolate mixture to the blender and process until well-combined. Whisk the eggs and add them to the blender, pulsing a few times to mix in. Whisk the 6 tablespoons of water with the flaxseed until it turns into a gelatin, add to the blender mixture, and process until blended. Fold the blended mixture into the bowl containing the almond flour, adding the slivered almonds. Pour the mixture into the loaf pan and bake for 50 minutes or until a fork comes out clean.Remove from oven and allow to cool for at least 30 minutes before removing from the pan. Line a 9 x 5 x 3 inch loaf pan with parchment paper and use oil to lightly grease the bottom. In a bowl combine the oats, flour, baking powder, baking soda, and cinnamon. Mash the avocado lightly in a large bowl. Add coconut oil, honey, and stevia to the avocado, and use an electric mixer to cream. Add one egg at a time, beating well after each one. Mix in the bananas and pecans to the oats and flour mixture. Stir in the yogurt and beat until it is well mixed. Pour the oat mixture into the large bowl containing the avocado and eggs. Pour entire contents of bowl into loaf pan and bake for 1 hour and 15 minutes. Check after that time and bake a little longer if you prefer a drier bread. Line a medium-sized baking tray with parchment paper. Place all ingredients in a blender or food processor and pulse until creamy and well blended, and refrigerate for 30 minutes. Use a spoon to form small truffles and place on the baking tray. Sprinkle with whey protein and refrigerate for an hour before serving. 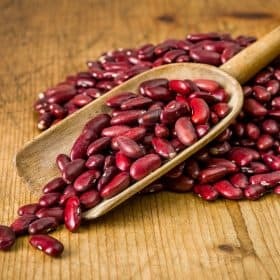 Enjoy these dishes without guilt, knowing that you’re rejuvenating your liver and providing your bones with essential nutrients they need to thrive. If you’re seeking more ways to detoxify after the holiday season, you can learn about OsteoCleanse™, The 7 Day Bone Building Accelerator. Isn’t it a great way to kick off the new year, knowing that you’ll maximize bone building? 2 Kawagishi H, Fukumoto Y, Hatakeyama M, He P, Arimoto H, Matsuzawa T, et al.” Liver injury suppressing compounds from avocado (Persea americana)” J Agric Food Chem. 2001;49:2215–21. I read recently that taking a small dosage of Borax is not only good for your bones but also eases arthritis pain. What do you know about this? Your recipes look wonderful, however, I am allergic to tree nuts. This includes coconut. What substitutes could o use to make your recipes? Just made the bannana bread it was gorgeous,will be having that from now on. Thanks for those great receipes Vivian. My last bone scan showed an increase of bone density in the femur but a loss in my spine ???? I was disappointed. My doctor suggested I try Prolia – For about 5 years – he said it’s a different type of “ bone builder “ But I read about it and it’s frightening !! I have scoliosis and my back gets tired if I’m walking or shopping- I’m 86 years old – I’ve had your information for about 10 years. Thanks Vivian many blessings Kelsey. I hope you enjoy the recipes, Kelsey! Remember, it’s your choice – if you’re uncomfortable taking any osteoporosis drug, you don’t have to. Have the cake and break recipes been made without the eggs? I can tolerate egg white but not the yolk due to allergies. I love avocados and this would be a nice change of their use. Thank you Vivian ,I learn a lot from you. You’re welcome, Ghada – and I learn a lot from Savers like you as well! I love avocados. They are good with Spike seasoning. My husband put a half on top of an omelette every single day and he’s healthy as a horse. I like mixing them with honey and cocoa powder and making chocolate pudding out of them. I just read an article that onions are really good for osteoporosis and help to build bones. The article was in Dr. David Williams recent newsletter. Last night I ordered takeout from a Peruvian restaurant and one of the only vegetarian meals they had that I bought was loaded with red onions. It was quite a coincidence. These look great. Carb, fiber and calorie count would be very helpful. Also, I have been making a wonderful avacaodo bases chocolate mousse/pudding for years called “Chocamole” and everyone loves it…easy blender recipe. I have osteopenia. And I have searched online for bone building, calcium enriched foods, other than dairy. How come I have never read online, or never been told by Physicians, that avocados are effective bone builders? Ro, you pose an excellent question. 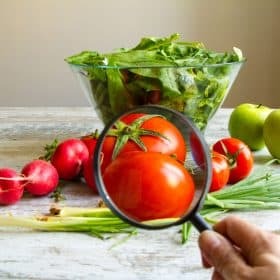 The short answer is that doctors are simply not trained in nutrition; their skills lie in the realm of drug prescriptions, surgeries, and other means of dealing with illnesses – or more precisely, of dealing with symptoms. I really do not like avocados and definitely not into desserts, but I will certainly try these suggestions, especially the cake. I will also slowly introduce the avocado to my diet and make every effort to acquire a taste for it. Good for you, Gail. Glad to hear you’re going to try something new that’s good for your bones! Wow, I don’t like avocado but I think these recipes are so yummy I’ll never know it’s there!! Thanks, Vivian, for providing everything we need to be bone healthy! Any chance of getting the calorie count for the avocado recipes? We don’t encourage calorie-counting at the Save Institute; the emphasis is on a pH-balanced nutritional plan, which also balances calories. 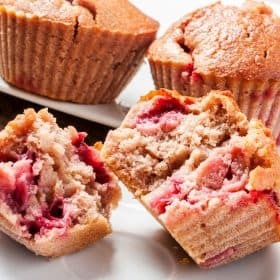 If you would still like more detail about the calories in these recipes, you might try searching the internet for a calorie-counting website that allows you to enter ingredients. I belong to a TOPS group and wanted to have a taste testing. Since most of the ladies are in the process of losing and watching calories in a safe manner, they would be interested in those numbers.